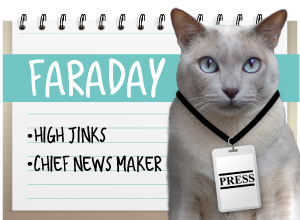 A Tonk's Tail... err, Tale...: We Review the July CatLadyBox! Check out our unboxing video - we'll show you up close and purrsonal what's inside. And then scroll down for a chance to WIN one of your very own! 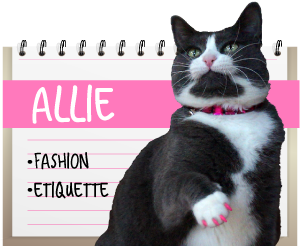 "a fabulous collection of unique cat-themed items curated and hand-picked by cat ladies for cat ladies. Discover exclusively designed cat lady necklaces, rings, bracelets and other jewelry, newly released and best-seller books featuring cats, stylish cat lover T-shirts and accessories, handmade cat-themed art and unique home decor, cat lady cards, stationery, socks, hats, tchotchkes, limited-edition pieces..."
Sound like something you might be interested in? You can opt out at any time (nice) and the price options are for Cat Ladies (human-only stuff) or you could select the CRAZY box that has stuff for Cat Ladies and their cats. Kitties, raise a paw if you have a preference...? Click here to subscribe! Here's your chance to WIN a CatLadyBox of your own! So what did you think of the CatLadyBox? More please! Bring on the videos! CatLadyBox is the best idea EVER!!! Oh My Cod! Mes gots to gets one of those for Mommy!!! your video was just incredible!!! Loved it!! Good luck to all who enter!!! What a WONDERFUL idea! Even comes with a BOX. Mom says she is going to have to try this out! I loved the video! We did our photo shoot this week - no video, sadly. oh kay then....haza grate day !!! This is the first subscription box we have ever seen for the human! We love that there's a subscription box for ladies who love cats! 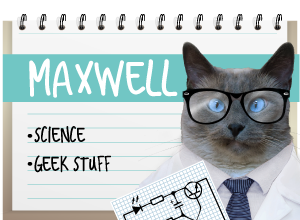 Great video, especially once your mom gave up the spotlight and you kitties (especially you Maxwell) got some camera time :-) The subscription box is a neat idea, but a little pricey for us. The mom got a CatLadyBox too...and loved everything in it. We loved the box, of course. We really liked the CatLadyBox we received. Mom Paula needs to take more photos so we can share it. LOVED your unboxing video!!! It's fun to see the cat lady AND the cats! We received a cat lady box too and just want to say...YES!!! It's fabulous. You are a natural on video - this is one of the best promo blog videos I've seen in ages. Well done!!! That was an awesome video! What a great box. It sure was fun seeing all of you kitties, and your awesome mom, too! Unboxing is so much fun...esp with helpfur kitties, MOL!! We well meowmy would love a chance to win! Your mom is super lovely and did a great job but we really loved your review! You kitties stole the show! We didn't get a Cat Lady box but it looks pretty cool! videos are fun, but they make it hard when one is trying to catch up on blog reading while at work.. and you work in an open concept office..